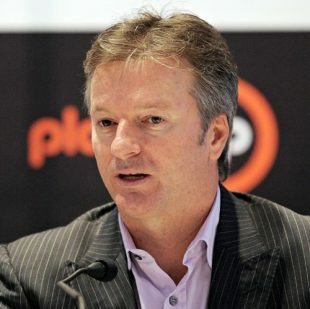 The Kochi franchise is talking to Steve Waugh as a possible candidate for coach during the next IPL. "We have been in discussion with a lot of really good coaches and Steve Waugh is one among them. The discussions are continuing ... It will take some time before we finalise the name," Vivek Venugopal, one of the co-owners of the franchise, told reporters in Kochi. Kochi and Pune were the two franchises bought after the tender process in March, acquired by Rendezvous Sports World, a consortium of companies, and the Sahara Group respectively. The next IPL will feature ten teams and, if the current format is retained, will comprise 94 games as opposed to 60 in 2010. Venugopal said the franchise was involved in talks with both Indian and foreign candidates. "We are talking to both Indian and international coaches. We do not have a biased view towards one or the other. There are some good Indian and international coaches," he said. "We have to see their time commitment, how free they are, how much time they can contribute to the team." As for the composition of the Kochi team, Venugopal said a bulk of the players would be bought at the auction to be held after the Champions League this year. "I think it will take some more time. But the main chunk of them will come from players auction and that will only happen towards the end of the year."